Rolf Suey - Better Late Than Never: Stock Rout – What Rolf is Doing for Himself? During the black Monday on 24 Aug 2015, I am on my way to China. My flight departs at 0945h, STI stock rout begins 0900h. Then boarded the plane on time, but waited longer than usual onboard. Announcements after announcements of flight delay due to China weather follows. Maybe it was also influenced by the stock crashes! The captain eventually asked passengers all to disembark and board again later at 1330h. Wow close to 4h delays. Now I head back to the lounge and have my lunch. Ok, I sell during the wait. I am not Warren Buffett, and my heart feels more comfortable with higher cash position. Still no net REALISED paper loss this year! But paper loss amount is high for my standard.... sob sob! THE BEST WAY IS TO STAY RELAX !!! NOT SO EASY?….THEN DO SOMETHING TO RELAX! I tell myself. Ah….OSIM chair…Free try in the lounge. Feels great…although I still prefer “warm human hands!” FOC, do not complain. Now, I still have good appetite to eat lunch. While on the plane, I read papers, eyes tired…close eyes listen to music… then watch Kris entertainment Movie. FOC! Then eat meal and yes..ice cream and coffee…then show finished, eyes tired again. Now, listen to music again and lie down and watch pictures of my family members on my phone. Finally write some blog…. 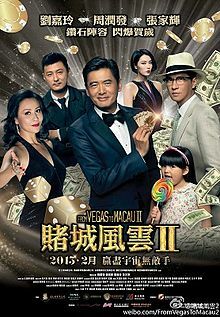 By the way, the movie I watched is Chinese HK movie “From Vegas to Macau II (賭城風雲Ⅱ)” starring Chow Yun Fatt and Zhang Jia Hui (Nick Cheung). During one scene, Zhang Jiahui and his daughter are being pursuit by killers. He stays really calm and makes series of home-made bombs and killed all the baddies, then coolly tell his daughter that to live life well, staying calm is most important! Most people just do not understand, he said. I was inspired! So on the plane, I quickly wrote down my plans and strategy, watchlist etc. Physically write them down please, not just in your head! It calms me down, and I feel more confident and have a smile on my face. Don’t let your emotions run wild. Newbie investors…still say.. “Buy Low, Sell High some more!” still say… “Be greedy when others are fearful…!” Ouch…my foot, we are not Warren Buffett!!! Ok….Cry finish? Heart still pumping? If yes, then mean you are still up and kicking. Now think again, and re-visit your initial perspectives. You read stock market graphs before the crazy Monday, aren’t you? Stock market isn’t a straight line up or straight line down. It goes up and down. YES…JUST LIKE OUR LIVES. If you have no "true" life experiences, then you must be thankful now you taste only a small part of it for it is the best time for you to learn. Hopefully it happened when you are younger now. That is why, I always encourage myself and my kids to start things early. End of the day, remember who you are, is the most important in bad times. If you got hit hard this time. Start again. Where you fell, you pick yourself up. Don't give up, the game must goes on! Know yourself more the next round. Be prepared. For me, I feel comfortable to have more cash. I am sitting with >60% cash now. I am happy. This is me, BUT you are NOT ME. So stop worrying about what I will do next or what I had just did. Stay calm and find out what you should do. Hey…I already had forgotten my paper loss, while enjoying myself in China now during a business trip. My China friends and clients, who are with me today, are not perturbed by the stock market. We stay happy and eat lunch and dinner all FOC…thanks to our companies! You still have your H2F3…. Refer to my previous article on H2F3 here. Health, Hobbies, Family, Friends, Financials…. Still have? Now…Hug someone if you need. If not, hug your big smelly pillow! 60% cash is a lot. i left with only 20% cash. omg. that money is me and my husband invested capital. Guess it's not only about cash to take adv of bear, but more like preparing for the worst to come in case u loose ur job? So that is the reason I always tell my husband. Can work then we just work. Else really one day we no job, then we will cry. I'll go hug a stranger when I buy breakfast. If tomorrow you see a bald man in the papers being arrested for "molest", I'll blame you! Maybe u appear on the news for "Man found his wife with a bear hug!" Then you will thank me. I have tried your advice to hug someone a few days back while shopping in Orchard Road. Well, that was awkward. I was just about to hug someone extremely attractive and I walked right into the mirror. Oops hope u r not suffering from "jekyll and hyde" syndrome. Haha.. Guess when u look into the mirror, u already always will see Andy. Not many others can see their true selves in the mirror. Imagine you have put all your money in Keppel Corp, SCI, - All the O & G related companies, still got chance or not? "You are not Me, so stop worrying about me"
Indeed. Just be yourself and focus in knowing and investing in yourself first. Building a personality and life is no difference from building a business. Core is impt and start from within u, not others! I have been traveling all over the world in my last 10 yrs... China, Europe (Norway, Finland, Holland, France, Ger, etc) India, UAE, Qatar, South east Asia (Indo, Msia,Brunei, vietnam etc), Usa, brazil, Korea, Japan.. I must say, china is one of the most interesting as its jus so huge and end of the day, I m chinese descent..
Like I mention above, ur true heart attack will come when one day u loose ur job at ur so call highest pt and then find it difficult to find a job for a long long time... with not enuff savings..
More scary than bear market maybe..